Fancy spinning a big old super-sized love letter to 1970s pop, like the kind you might have heard on AM radio back in the day? Ken Sharp’s fun follow-up to his sterling 2016 long player, New Mourning, might well be just your ticket. 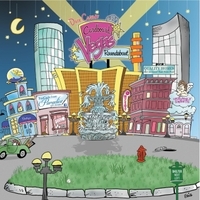 Played mostly by Ken and co-producer Fernando Perdomo, with guest appearances by Hall and Oates’ John Oates, Utopia’s Kasim Sulton, Kiss’s Ace Frehley, Marshall Crenshaw, and melodic pop stalwart Rob Bonfiglio, Beauty in the Backseat plays its affectionate and catchy cards throughout. 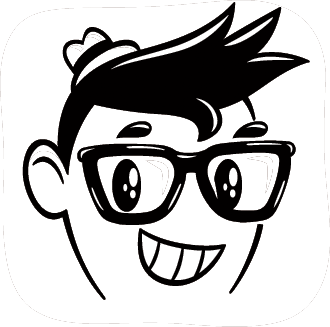 The poppy, upbeat “Lemons to Lemonade,” decked out in Kyle Vincent-esque splendor, presents a narrator who turns sad into glad. “Listen to Me” is a feel-good number about people taking “a million tiny steps” to come together and make a difference. And “Philly Kind of Night” brings the aforementioned John Oates to the microphone to provide soulful background vocals for a tribute to the art of Philadelphia soul, this time adorned with Ken’s usual pop edge. Don’t miss “Rock Show,” which gets these proceedings off to a showstopping start, telling the story of a band getting ready to hit the stage and make musical magic. Ace Frehley delivers an energetic, runaway guitar solo during the close. The sobering balladic tribute to a favorite, fallen musician, “The Day that David Bowie Died,” is an affecting song, and the should-be-a-radio-hit, happy-sounding “The Hardest Part” concerns itself with the dissolution of a relationship and the avoidance of any measure of regret that might follow. The Los Angeles-based pop-rockers Deborah Gee and Glen Laughlin take the world stage with their most assured and accessible long player yet. Mixing Rolling Stones affects from the Brian Jones era with other mid-sixties sounds, the Bluestorms deliver a smashing collection of songs sure to please. The rolling rocker “Heel to Toe,” sporting a most melodic, very catchy chorus is one such pearl; the flattering, rocky, Gee-sung portrait “Roy Wood,” which quotes the Stones rather cleverly and takes an unexpected turn at the end with a comforting, orchestrated coda is another. 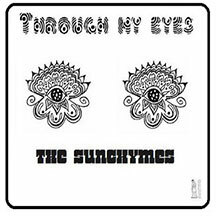 Other nuggets include the Stonesy “Rays of the Sun” and “Seven League Boots,” and the lovely “Caroline,” which announces itself as a gentle acoustic number and ends up a full-band excursion with a pretty melody. The closing, anthemic “Be Here Now” shows off multi-instrumentalist Glen Laughlin’s guitar prowess in grand style, as he blisters off into the sunset. Excellent entry into the growing Bluestorms catalog. The eighth in the continuing series of ace songs given away for free during the run-up to his upcoming album Home, “Where Did All the Fun Go” is an upbeat, catchy explosion of melody and sentiment relating to the good memories that fade in the face of today’s fast-paced world. Dig the harmony-drenched a cappella ending and the rocking sitar! Already, before Home arrives, Lannie has released nearly an album’s worth of classic, top-flight tracks. Dig it, indeed! With George Harrison-y slide guitar in tow, Jared Lekites’ latest, slated for inclusion on the Lunar Laugh’s next album, is a catchy slice of happy-sounding melodic pop about a sore subject–a fractured relationship that might, could possibly be saved (“When I woke up you were crying/Bitter tears that made me feel like dying/Is it too late to kiss and make up/We’ve been together too long to break up”). An attractive chorus shines. Don’t miss it. An always reliable songwriter and performer, encountered early in the run of the weekly Pure Pop Radio Show on WEBR, Pat Walsh continues to release luscious, sophisticated, and genuinely affecting melodic pop songs. His latest, a lovely mid-tempo ballad about hope wiping away the darkness in a person’s life, is sung sweetly and built around ingenious chord changes. Pat never fails to impress. Where to Get It: Listen on YouTube. After listening, Pat would love it if you would leave a comment on his YouTube page telling him how much you liked this song. Pure Pop Radio’s New Music Explosion Rolls On! It’s Day Number Three, and We’re Still Just Getting Started! Pure Pop Radio is committed to bringing you the latest and greatest melodic pop music from your favorite recording artists and artists who will quickly become your favorite recording artists. We scour the globe for the coolest sounds around. 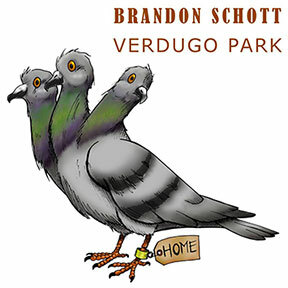 Brandon Schott | Verdugo Park Brandon Schott’s latest taster for his upcoming album, provisionally titled Crayons and Angels, is a phenomenal three-song collection featuring two songs that will be unavailable elsewhere. That alone is reason enough to jump on this masterful creation. These two tracks–a lightly-psychedelic instrumental called “Lapiz Lazuli” that takes its inspiration from the Beatles’ “Tomorrow Never Knows” and runs wild with it; and a delightful cover of Robert and Richard Sherman’s lovely 1962 soundtrack song, “Castaway”–are classics in their own right. But the main draw here is the title cut, a delectable mix of Brian Wilson and Harry Nilsson-esque melody and inspiration that is beyond the heights that inspiration usually takes you. We’re playing all three of these songs in rotation. We can’t wait for you to hear them. Dave Caruso (Part Two) | Elizabeth Parker Before releasing Cardboard Vegas Roundabout, Dave recorded an EP that is just as captivating. We’re playing four songs in rotation: the title track, “I Can’t Be On Time,” “If I Died Today,” and “Letter to My Ex.” A double dose of Dave Caruso will do you good! 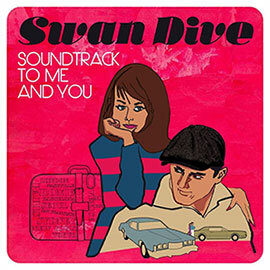 Swan Dive | Soundtrack to Me and You The art of song that sweeps you off your feet with marvelous melody and peerless songwriting is practiced on Swan Dive’s 10th album, Soundtrack to Me and You. Molly Felder’s sent-from-heaven-above vocals bring Bill DeMain’s wonderful songs (co-written with Kelly Jones and Mike Viola, amongst others) to life, and what a great life it is. From the Buddy Holly-meets-Everly Brothers vibe of “Good Things” to the breezy, free and easy mid-tempo ballad “Sweet Summer Fling,” this is as good as pop music gets. We love this album so much that we’ve added all of the songs to the Pure Pop Radio playlist: “Sweet Summer Fling,” “Flipside of Loving You,” “Soundtrack to Me and You,” “Star Crossed Lover,” “Missing,” “I Can See What’s Coming,” “Brief Interlude,” “Slim Willie Dunn and the Gin Bottle Four,” “Wrong Number” and “Good Things.” Wonderful stuff. 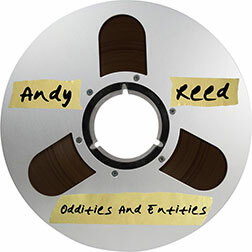 Andy Reed | Oddities and Entities Much-loved musician, producer and engineer Andy Reed, who moonlights as one-third of the much-loved band the Legal Matters and records under the band name An American Underdog, has a long history as a maker of fine records. This history is reflected in the grooves of this enticing, catchall collection of 22 previously-released and unreleased gems. From the pure pop pleasures of “Smile, Look and Listen” and “The Ballad of…” to the gorgeous, beautifully sung and played “Crazy Things,” there’s no end to the pleasures on offer. We’re happily playing the aforementioned songs, plus “Make Up Your Mind,” “Always on the Run,” “Summertime,” “The Criminal,” “Novacaine,” “Your Reign is Over,” “Extraordinary Boy” and “Beautiful Dreamer,” in rotation. 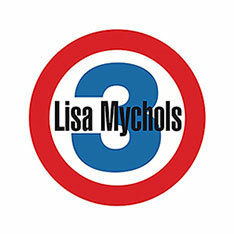 Lisa Mychols 3 | Lisa Mychols 3 Resting comfortably somewhere between the sound of her last record, Above, Beyond and In Between, and, say, an early Who album, Lisa Mychols 3 blasts a half-dozen sweaty workouts in just over 17 power-punched minutes. As is always the case with Lisa, melody is king, but so too are the ace riffs and killer guitar work. We’re playing the entire EP in rotation: “Back to the Truth,” “Bruce Foxton,” “Ready for Action,” “Right on Time,” “Story in Your Mind,” and “The Fool.” This collection will not be denied! 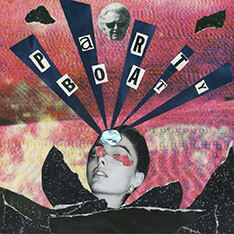 Party Boat | “Little Fish” and “Don’t Stress” Charming, melodic pop music is a big part of Pure Pop Radio’s broadcast day. We’re proud to bring you these two songs from the four-piece band Party Boat. With echoes of sixties and seventies song conventions, and a strong sense of melody, these guys are a collective to watch. 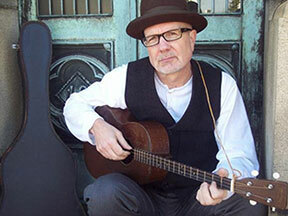 Pat Walsh | Three Ukelele Songs Pat Walsh is a longtime favorite of Pure Pop Radio. We eagerly wait for and play something from just about everything he records. When we found out that Pat had waxed some songs based around one of our favorite instruments, the ukelele, we did that dance that one does when one is deliriously happy. We’ve got three uke tunes playing in rotation that Pat recorded with the help of his co-producer and musical cohort, Billy Gewin: “Blackberry Morning,” “Right Time,” and “Someone’s Waiting.” We’re on Team Pat and we’re working along with his other fans to make him a household name. Join us, won’t you? The Sunchymes | Through My Eyes Recording as the Sunchymes, Aaron Hemmington’s music is, according to his Facebook page, a “summery fusion of power pop and psychedelia.” We concur, and we bring you a pair of recent tracks to hear in rotation: the “Summer 2014 mix” of “Through My Eyes,” and a cool version of the Beatles classic, “While My Guitar Gently Weeps.” Wonderful! Ali Ingle | The Good for Nothing Demos We’ve been following this young British singer-songwriter for some time, and we like what we hear. Here are four demos that point to even bigger, melodic work to come: “First Punch,” “Paris,” “Leaving Home,” and “Sit this One Out.” This lovely quartet of tunes can be downloaded for free on Ali’s Soundcloud page. So that’s day three of Pure Pop Radio’s New Music Explosion. We’ve got so much more new music to report to you–stay tuned to the Pure Pop Radio website and, of course, Pure Pop Radio for much, much more. Happy listening!